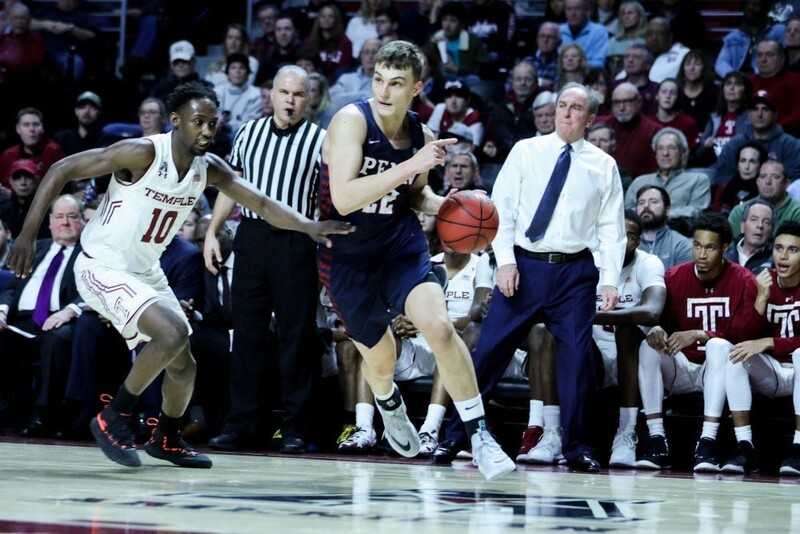 Behind a stellar bench performance, the Penn Quakers were able to hold onto their early lead and beat Temple, 77-70, sealing their partial win of the Big 5 title. Temple tried to creep back into things late in the game, but Penn’s bench was able to keep Temple from gaining the lead and winning the game. Penn’s bench was able to score 29 points to Temple’s seven, which proved to be a big difference maker in the win. Temple’s stars were not able to get going like they usually do, and Penn just looked all around better in this one. Penn always got the bucket that they needed and was always one step ahead of Temple in this one. The Owls couldn’t get close enough to make a dent in Penn’s lead in this one. Temple came out of the half down eight, and never got within less than five points from Penn. Temple could not get things going in the second half, leading to what was an easy win for Penn late in the game. Penn’s AJ Brodeur was able to score 16 for his team, getting most of it in the second half which helped tremendously. As for Temple, Ernest Aflakpui had a team-high 21 points, while Shizz Alston, Jr. had 14. Temple’s shooting from three-point range was not great, shooting only 27.3 percent in the loss, while Penn shot 40 percent from three. This was Head Coach Fran Dunphy’s final game against his former team, the Penn Quakers, where he coached prior to Temple. Dunphy is set to part ways with Temple at the end of this season, and Assistant Coach, Aaron McKie will take over. Temple drops to an overall record of 14-4 and 2-2 in the Big 5. Penn takes a commanding 3-0 record in the Big 5, as they look to hold on for the league title, pending their final Big 5 game against St. Joe’s next Saturday. If they win, they will be the outright winners of the Big 5, but if they lose, they will share the title with Villanova.